"Last week, he had a high fever. I hoped for it to not be serious. Even before I could take him to the hospital he started vomiting blood. The entire room became a pool of blood, and it looked like his body was drained of every drop. All these years, he has been on medicines just to avoid this scenario. Now we find out that he is not recovering, but is dying." - Divagar's mother, Saraswathi. Divagar was born a healthy child. When he was 2 years old, he suddenly started vomiting blood and he lost weight drastically. 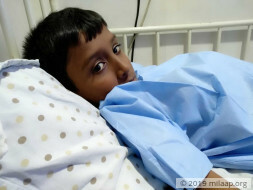 He was rushed to a government hospital, they were told that he cannot be saved. 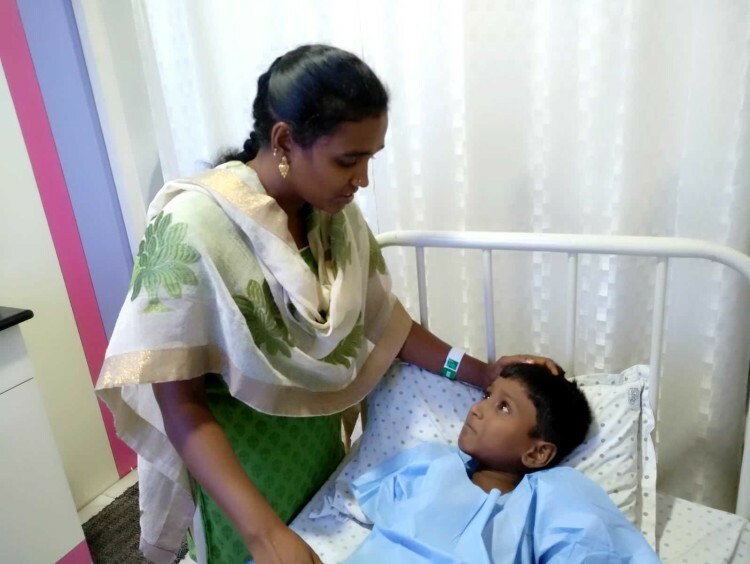 His parents again rushed him to Kanchi Trust hospital as their last resort. He was diagnosed with Extra Hepatic Portal Vein Obstruction where the blood vessel take takes bad blood out of the liver is blocked. This has been slowly damaging his liver. “I do not know what the disease is, I couldn’t understand when the doctors explained. He was in ICU for a month. Since then he has been on a high dosage of medicines. I take him to the hospital every month. He got used to hospital visits and medicines. This is normal life for him.” - Saraswathi. This time when Divagar vomited blood, he lost consciousness. He was immediately taken to ICU. Doctors said that medicines aren’t enough anymore. He needs an urgent surgery to survive. Medicines are given to control vomit but without a surgery, he would die. “He keeps asking me what is wrong with him. Doctors have told him that he will be completely normal after a surgery. When I break into tears, he tells me not to worry and he will be fine after surgery. How can I tell my child that I can’t afford it? He trusts me to save him.” - Saraswathi. 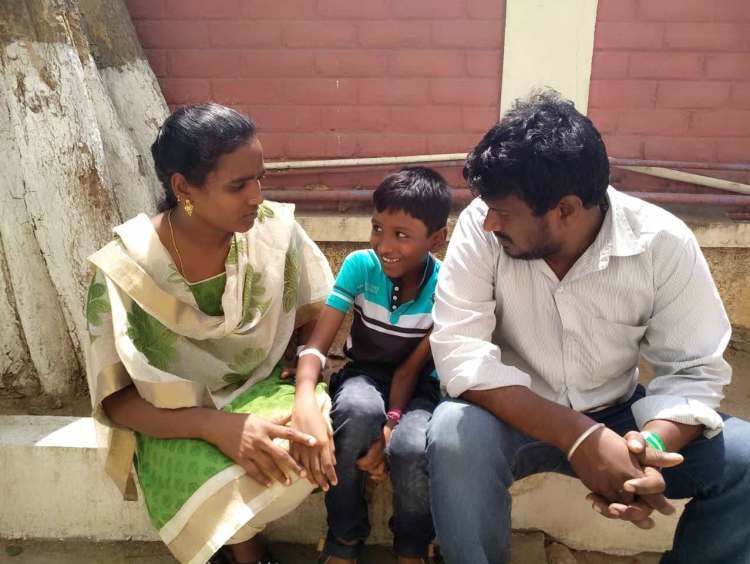 Divagar’s father Karthik works as an electrician. 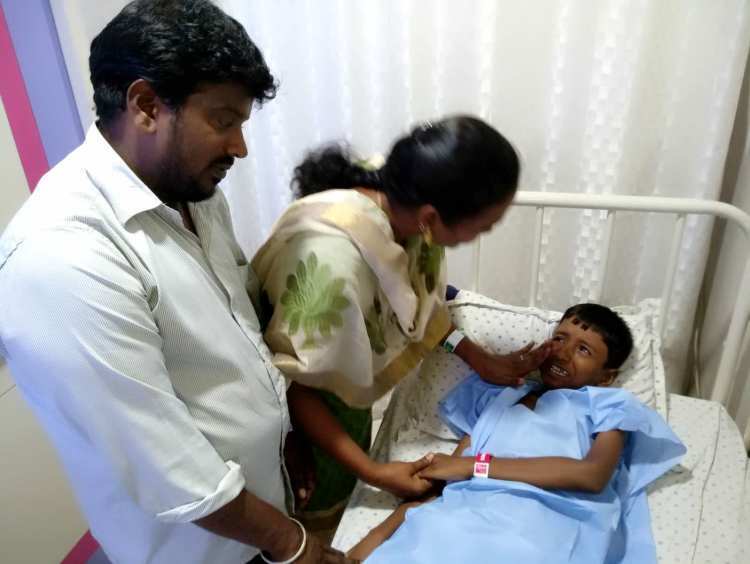 He is hardly able to go to work since the day he was admitted to ICU. He is begging to his friends even to buy medicines. He does not have anything left for the surgery. Divakar has younger sister Ida (7). She was terrified seeing him vomiting blood and she cries constantly asking about her brother. She is now at her relative's place. The family hoped his problem would resolve with good care and medicines. However, Divagar's condition is beyond the help of drugs. If they delay this surgery to fix the obstruction, he would end up requiring a liver transplant. These parents are struggling to arrange Rs. 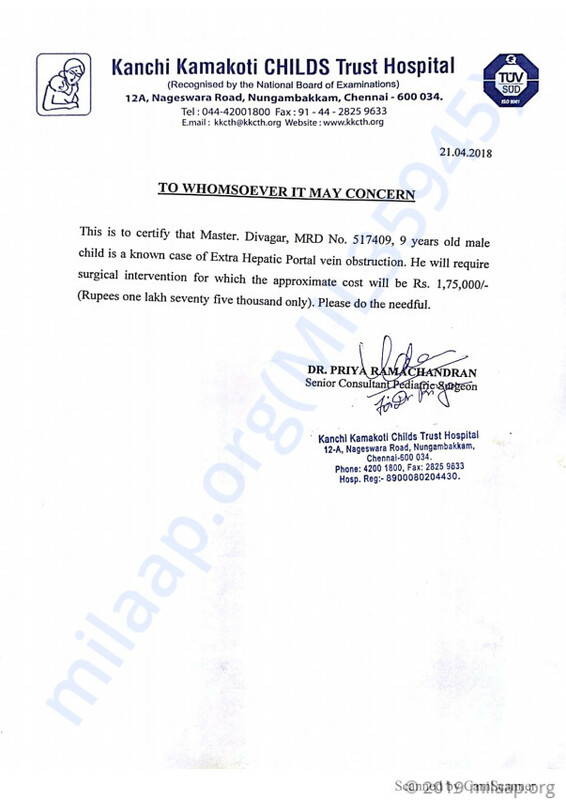 1.75 Lakhs for this surgery. If they lose time on this, they will end up losing their son unable to afford further care. Here is a quick update on Divagar's health. Divagar successfully underwent the surgery. Currently, Divagar is at home and doing a lot better. He has shown good signs of improvement. He has to visit the hospital for regular follow ups and is on regular medication as prescribed by the doctors. 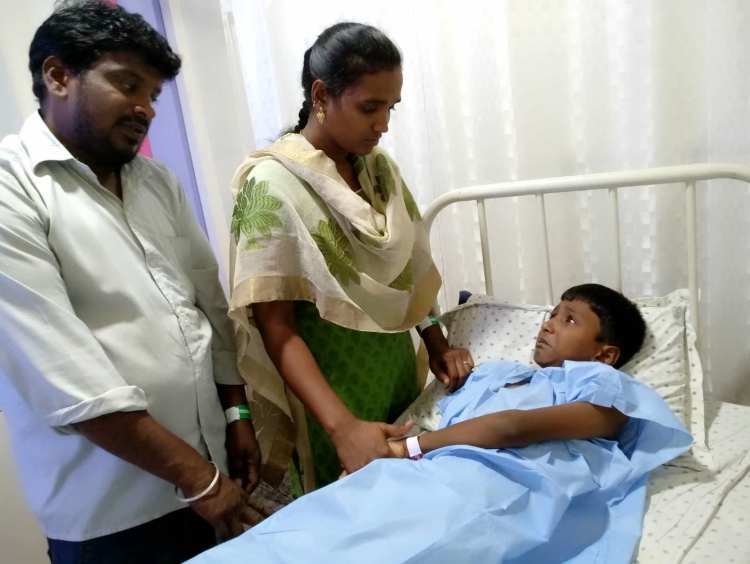 Doctors said he can start going to school once the dosage of the medicines is reduced. Thank you for the love and support you have shown towards Divagar. Divagar is currently doing well. He's responding well to the treatment. He's being given injections and is on medication for now. The doctors have told us they might perform the operation sometime in the first week of June. Hence, he will be admitted on June 2nd. Please keep praying for him. Thank you all once again!